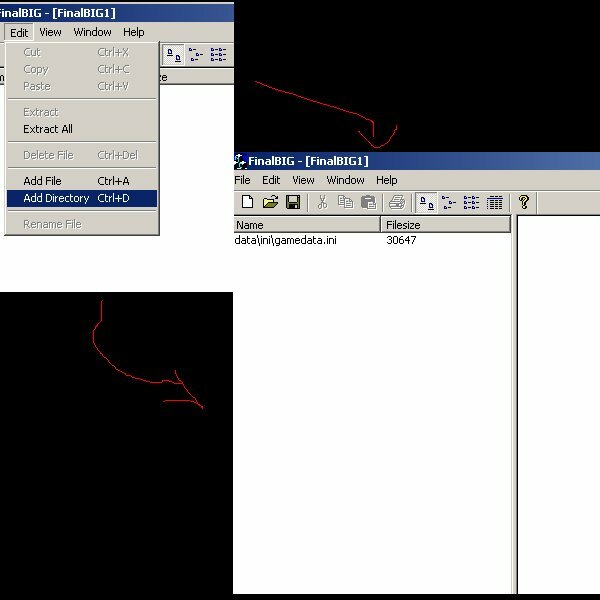 Subject description: This tutorial shows you how to browse and create BIG files and edit ini files. Attention! Please, do not post this tutorial in any forum. This is an exclusive and unique content for Project Perfect Mod. Thanks for your comprehension. 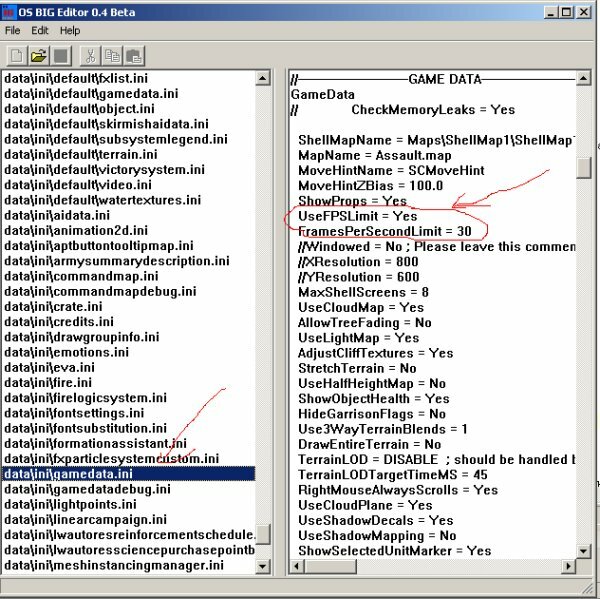 Note: This tutorial was written for the C&C3 Demo. This tutorial will be updated once the final release get into the stores. This tutorial will show the very basics of how to mod any aspect of the game. First of all, one vision, one purpose. When modding the game, you must know what you'll do. In our case, we'll remove the frames per second limit, allowing the game to run with 60 frames per second or higher, depending on the user's screen settings. The demo comes with 3 .big files: DemoData.big, DemoMovies.big and DemoStreams.big. The least interesting at the moment is DemoMovies and what really matters to create a mod like this is the DemoData. So, open DemoData with OS BIG Editor. Look for the gamedata.ini, near the bottom and extract it. The picture below shows the location of the file in the left list. Once you extract it, open this file with WordPad and edit the tags showed in the right. Once it's finished, you'll need to place it in a new .BIG file. To do that, make sure the file is still inside a data/ini/ directory and also make sure these directories have no other file. Open FinalBIG and Add the directory /data that has a directory /ini that has your modified gamedata.ini like the picture below shows. Save your .BIG file with any name... let's say new.big. Get back to your C&C3 Demo dir and backup the CNC3_english_1.0.SkuDef file. Edit the original one adding the new.big to it in the same way that the other .BIG files were added there. And SHAZAM! Play the game, of course! And have fun! Can we play with more FPS in online? If all other players have made the same modifications, yes. Note however that TW´s SAGE engine uses the FPS for measuring time, so if you run it with twice the FPS, the game itself will actually run twice as fast too! my files seem to be corrupt when i try this tutorial. causes game to not boot just crash. ugh.